The Tech Bar is hosting a seminar on April 3rd at 6:30pm. This will be held in the room 101 in the Mulva Library. During your four years at St. Norbert College, you have access to a FREE domain under knight.domains. 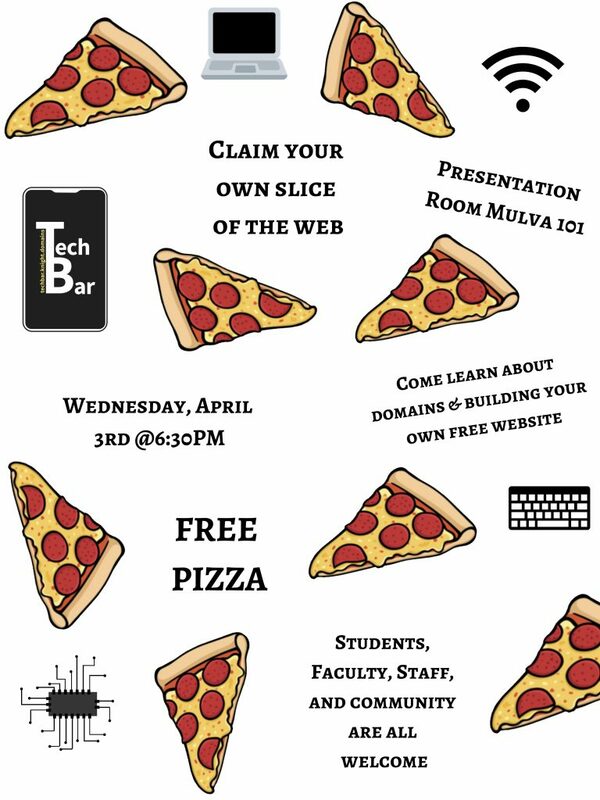 We will be showing all the possibilities of “claiming your own slice of the web”! Students, faculty, staff, and community members are all welcome. Free pizza will be provided. If you’re interested in attending, fill out this form! This entry was posted in Domains, Tech Bar. Bookmark the permalink.